I wrote this in April 2014 when Easter was approaching and the choccy eggs were in the shops (didn’t they appear on boxing day?) so I posted a fact(s) of the day. There are ‘National Chocolate Days’ in various countries across the World so this should stay pretty relevant beyond Easter! So which is your guilty pleasure? Dark, milk or white chocolate? First we need cocoa beans. Chocolate is a blend of fat (in the form of cocoa butter which is the fatty part of the cocoa bean), cocoa solids (the non fat part of the bean which is ground into a powder) and then some added sugar. The amount of cocoa solids very much influences the sweetness of the chocolate as the more cocoa put into the chocolate, the less sugar is added, the more bitter the flavour. The cocoa butter melts at body temperature and gives chocolate its unique mouth-feel mmmmmm. 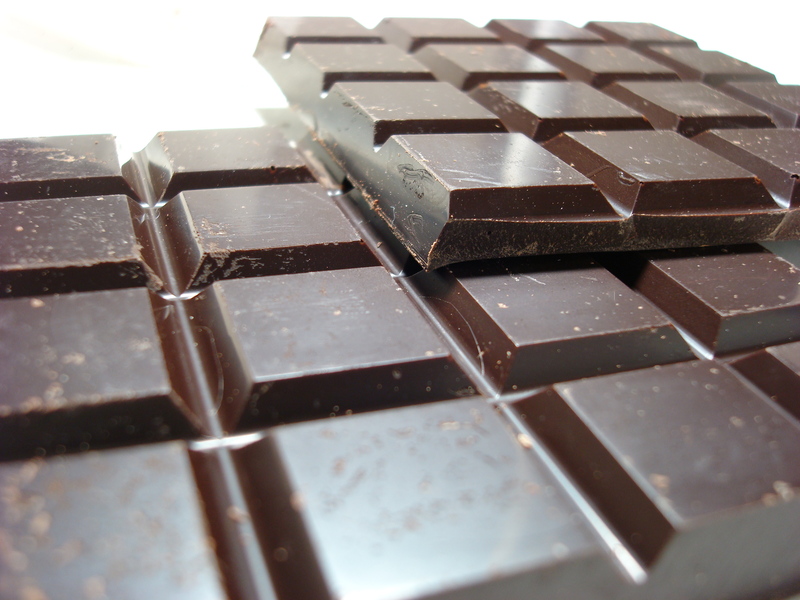 European regulations state dark chocolate should have a minimum of 35% cocoa solid. This is the amount of cocoa you would find in a bar of Bournville chocolate for example. These days though, the popularity of the more expensive, gourmet chocolate with 70-85% cocoa has become very popular. High quality dark chocolate should ‘snap’ cleanly when you break it or bite it – it takes longer to melt in the mouth compared to milk or white chocolate as it also contains less cocoa butter. It is also better for you than milk or white chocolate (more on that later this week). Now this is not an excuse to go mad on the dark stuff, what I am saying is if you are going to eat chocolate, good quality dark chocolate is probably the way to go. I found an interesting blog about dark IQ Chocolate so have a look! Milk chocolate must have a minimum of 25% cocoa solids. It contains more sugar and cocoa butter than dark chocolate and so is sweeter and smoother as it melts more easily in the mouth. This is still the most popular type of chocolate at the moment and is partly to blame for some of those expanding waist lines…. White chocolate is based on sugar, milk, and cocoa butter only; it contains no solids. In fact it’s not really chocolate at all! It has a high cocoa butter and sugar content and will often have other ingredients and vanilla flavouring added so is super creamy and sweet – probably why kids love it so much. These may contain some cocoa powder but they also contain vegetable fats to supplement or replace the cocoa butter. 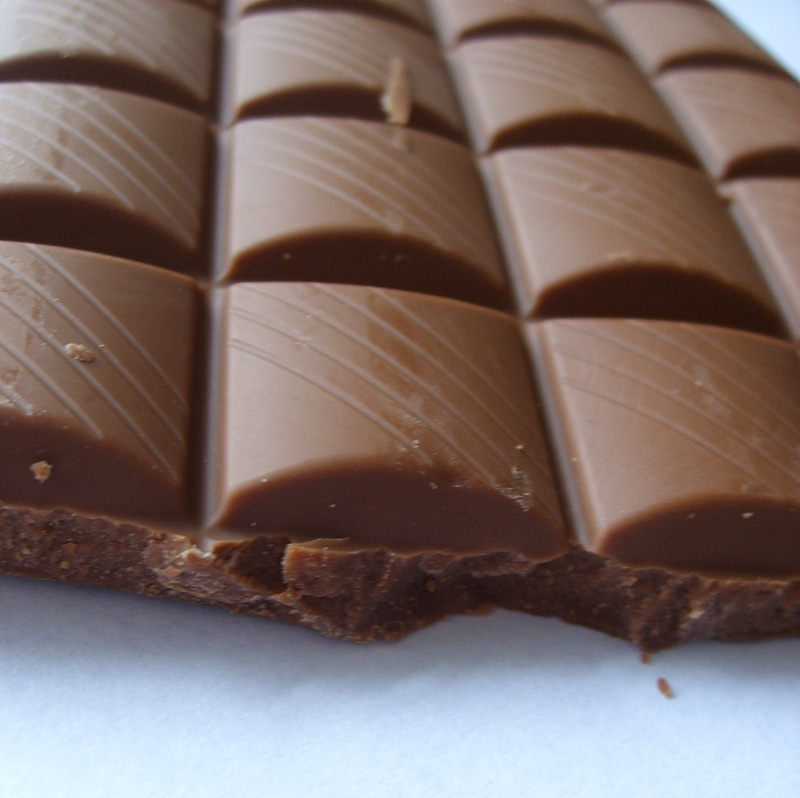 While often used to cover confectionery or ice cream products, they can be molded into solid bars or shapes. They cannot be called chocolate as they do not meet the minimum requirements that defines dark or milk chocolate in terms of the % of cocoa solids. Carob is a chocolate alternative; made from the carob pod. It is noted for its similarity to cocoa powder; made by drying, roasting and grinding the carob pod after the beans have been removed. The colour and flavour of carob vary according to the roasting process—the longer carob is roasted, the darker its colour and the blander its flavour. So whether its cocoa beans or carob pods, unfortunately these do not count towards your 5 (or 10) portions of fruit & veg a day! I am a big fan of eating things in moderation though and don’t believe in complete denial of certain ‘bad’ foods. I just don’t think you can beat real chocolate. For me, I love it, but I want different types of chocolate at different times, depending on how I feel. After a meal, or when I am full I prefer a little bit of extra dark chocolate; something not too sickly, that provides a sweet ending to a meal. If I’m watching a film on the sofa, it will generally be milk chocolate (ideally combined with some form of nut………….thinking of M&M’s now……………where was I?………………but I also like white chocolate. It reminds me of my childhood I think; the milky bars are on me! Those giant white buttons are rather nice…………so that’s it for today, anyone for chocolate?